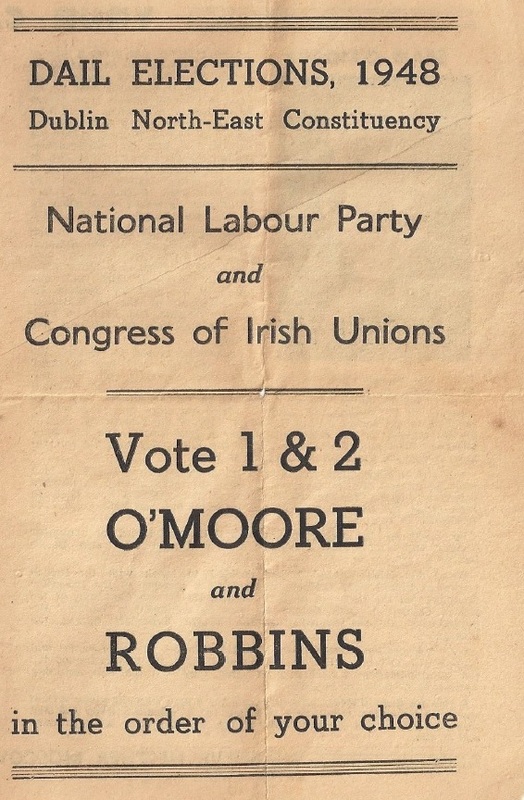 From the 1948 General Election a leaflet from Sean O’Moore and Frank Robbins who were running for the National Labour Party in Dublin North East. Both candidates were veterans of 1916. Sean O’Moore polled 440 votes and Frank Robbins polled 476 votes. Neither were elected. 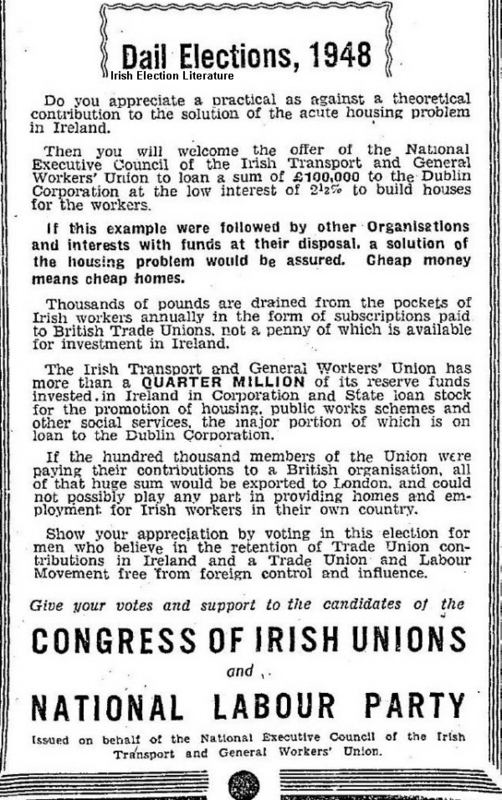 From the 1948 General Election a flyer from The ITGWU / National Labour Party offering a solution to the housing crisis in Dublin. The National Labour Party was a party active between 1944 and 1950 , a split from the Labour Party that was allied to the ITGWU.